Posted by Lynn Ray on March 5, 2011 at 1:39 pm. 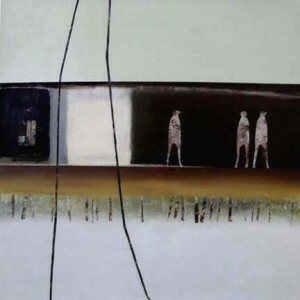 From March 2-April 2, 2011 the Bellevue Gallery will be featuring Shouts of Life by Maria Noma Bliss. Noma comes to us from New York and brings a new and dynamic aspect to the gallery. She is an accomplished artist who has been shown in publications such as The London Times and the Harvard Business Journal. In her abstract, surreal approach she tackles social and political issues while emphasizing the ideas of freedom and future. We are fortunate to have this rare opportunity and consider this a MUST SEE exhibition.